Is a surprise on the way? 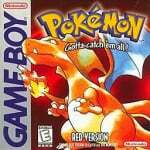 27th February marks the day when Pokémon Red and Pokémon Green were first launched in Japan in 1996. Each year, Nintendo celebrates this special day with Pokémon Day. This year, the Nintendo New York store will once again be hosting activities throughout the week. Starting on 27th February, there’ll be events such as face painting and the chance to meet Eevee and Pikachu. As noted in the tweet below, there’ll also be daily Q&A sessions with Nintendo Treehouse taking place. At the moment, there are no details about what exactly will be discussed during these hour-long segments. Of course, some fans are already speculating Nintendo, Game Freak and The Pokémon Company could reveal the next generation. What do you think these Q&A could be for? Tell us below. Yeah, that seems like a pretty likely indicator of a reveal. It’ll be the big Holiday game so a reveal is ripe. Oh man. I can't wait for Pokemon Day! Gonna be epic! Will the Gen 8 Pokemon = Pokemon King / Queen like from the leak / rumour we heard last time ? Game freak has been known to announce games on they're own terms so Gen 8 reveal could definitely happen. Can't wait for hours of Q&A about the new set of Pokemon Quest DLC. I REALLY hope Gen 8 delivers. I haven't been a fan of the direction the series has been trending the past couple of generations. @Lizuka I haven't been a fan of the direction the series has been trending since Gold/Silver. I don't have hopes of the series getting any better considering they still do extremely well for sales so I expect Game Freak will continue to just play it safe. I guess I'm part of the problem because I'll continue to buy the games just for VGC even if the single player is boring garbage. Hoping, against all odds, for a new Pokemon Snap game. Sounds good. I wish they would have more stores around the globe. It would be fun to take the kids to a Nintendo store. @Charlie_Girl That's a funny way to spell Pokemon Snap. I said what I said, don't make a thing out of this. Cool should get a gen 8 reveal on that day than. Open world pokemon would be really cool but how would it work with levels?. We are finally getting Black 3 and White 3. Praise the lord! I don’t think I’m alone in thinking this franchise needs a shot of adrenaline for me to get interested. If it is just another Pokémon spinoff ( Snap, Pinball, Stadium, etc...) count me out. They could just put those elements in as mini games in an incredible open world RPG. Please, use the metric system for measurement. Meters and kilograms, Pokémon Company, not that stupid feet and pound and I don't know why. How do you measure something in FEETSSSS?! It is just stupid. Sounds like a gen 8 unveiling to me, and the timing would match their announcement pattern from the past. As long as this game doesn't have catching mechanics anywhere resembling Let's Go games i'll be happy. I'm fine with pokemon being visible, but it's gotta go back to old battling and catching mechanics or I might just be done with the series. *Shut up Game Freak and take my money (whatever it is). *Please Game Freak dont let us down and bring us something worthy to spend our money and time. That is my internal fight right now.